Nicaragua is perhaps one of the most diverse destinations in the world. 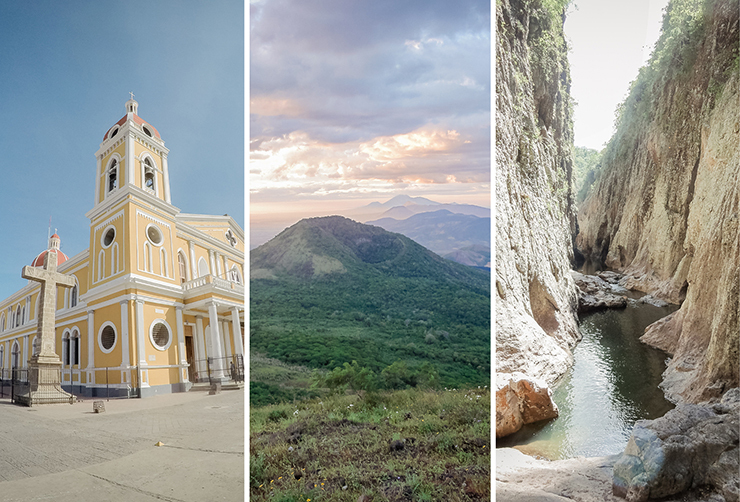 An adventure through Nicaragua means wandering in the cozy streets of colonial towns, ascend and descend both active and dormant volcanoes (even on board! ), relax on deserted beaches, clamber among rock canyons, … Nicaragua clearly guarantees the perfect mix of culture, nature and adventure! Public transport takes you to all beautiful places. I do not say that you’ll be very comfortable, but you’d better discover that yourself! Nicaragua is not the largest country and most major attractions are also close to each other, namely in the west of the country. Don’t be discouraged by the negative perception of the security in the country. We have never felt unsafe any time. On the contrary, the people are very warm and helpful! Today, Nicaragua is hardly to classify as a tourist destination yet. You are often at yourself, surrounded by the beautiful countryside. Let’s be honest: we think the natural beauty in Southeast Asia is at a little higher level. But there you have to include the hundreds – What am I saying? Thousands! – tourists. In Nicaragua, we hardly met any other travelers and that makes it very special. One with the nature, gorgeous! So do not hesitate, just book the ticket and enjoy the tranquility at the most beautiful lakes and during the spectacular hikes. 4 – Nicaragua is (yet) so cheap! Unlike Nicaragua, neighboring Costa Rica has been discovered quite a while ago and is now overrun by tourists. Costa Rica has indeed also much to offer, but for travelers on a budget the downside of its success is the prices. We are sure that Nicaragua will follow. Nicaragua is not called The Next Costa Rica without reason. 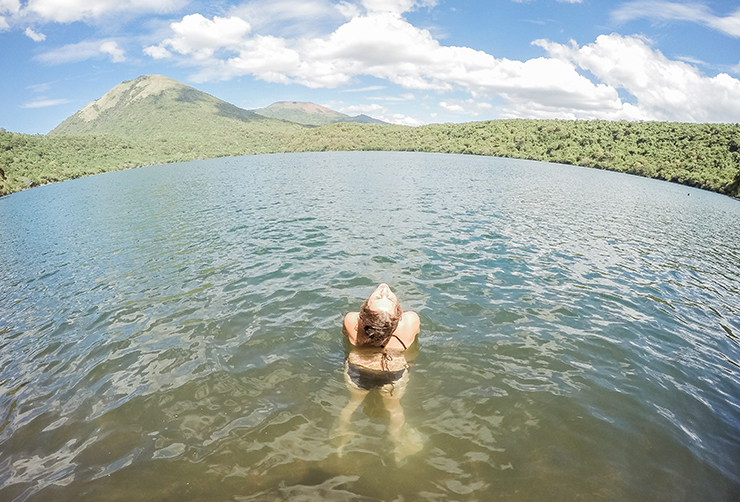 Once you’ve been in Nicaragua, you will definitely agree! So… make sure you make it there before it’s too late! Here you can find an estimation of your travel budget. 5 – Last but not least: the land of the finest rum! Nicaragua = rum = mojitos! If the previous items haven’t persuaded you yet, then this one will do! 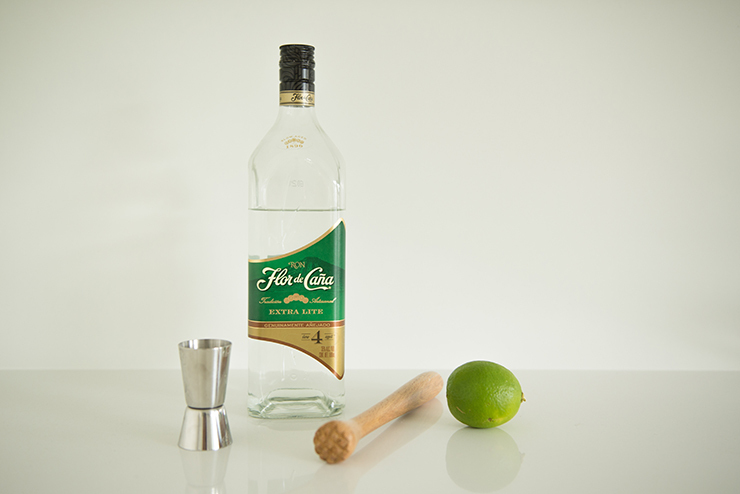 Flor de Caña is quite justifiably the national pride of Nicaragua! It is recognized as one of the best rums in Latin America and has been awarded with several international prizes. I would say tasting is believing! In Granada, just about every bar offers a happy hour – which actually takes 12 hours, great logical reasoning! – where you’ll get 2 mojitos for only $1.5! Sold? I thought so! Convinced? Let us know BELOW!